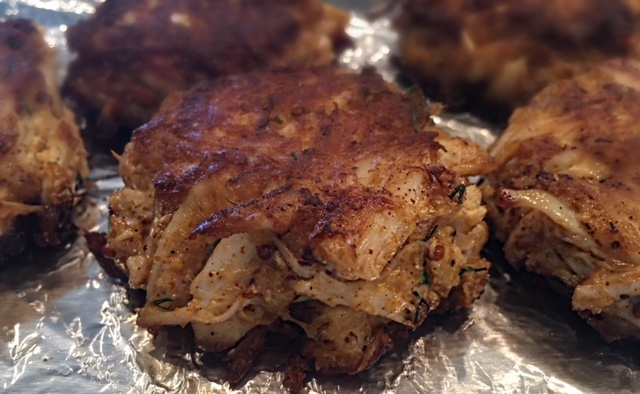 Crab cakes are my go-to dish when hosting a dinner party. They’re easy to make ahead of time and simply are the most perfect bite size hors d’oeuvre for a gathering. 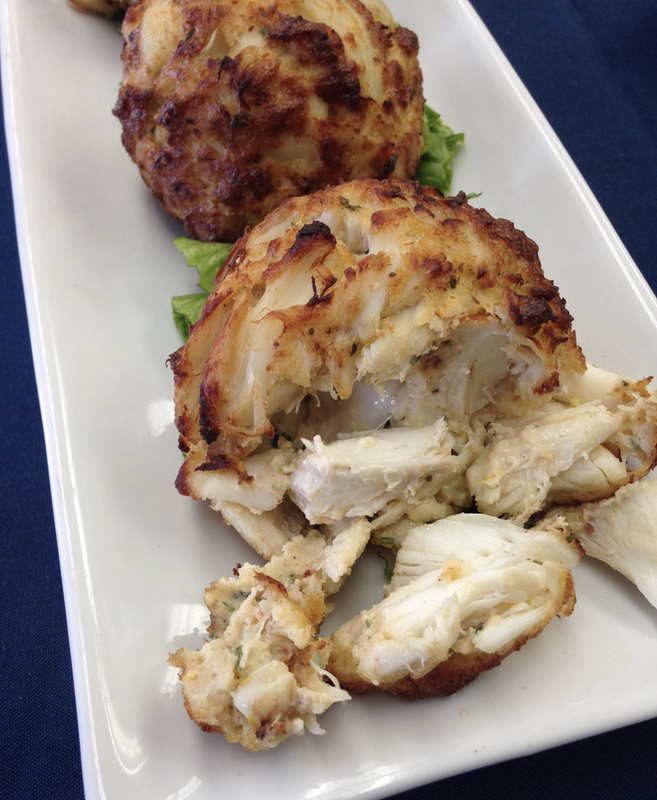 When selecting crab, I like to use lump crab meat or jumbo lump crab meat only. They’re both going to be a bit more pricey, but worth it because you’ll spend less time picking through the meat for shells and have oversized sweet lumps of crab meat. 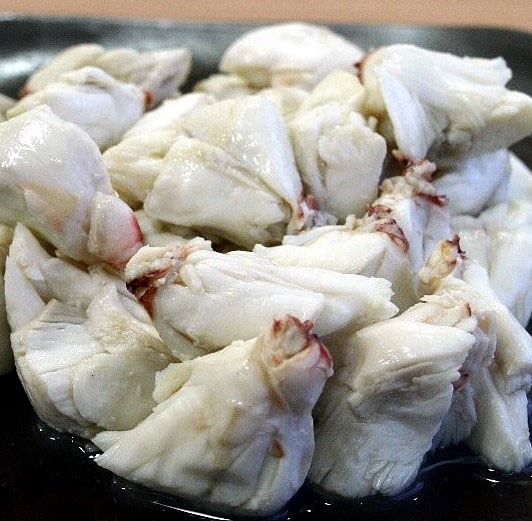 Other parts of the crab meat work just as well and can be just as sweet in flavor. My favorite brand of crab meat is Phillips https://www.phillipsfoods.com/product/jumbo-lump-crab-meat-2/. Local grocery stores and your local Costco store should have plenty of this crab meat stocked. Another bonus…. this crab meat is fully cooked, and the quality is so exquisite you can eat it right out of the container. This simple recipe should take no more than 10 minutes to prepare and about 15 minutes to cook. You can always gently fry the cakes for color, then store them in the refrigerator overnight. This make-ahead process works well so you can pop them in the oven when you need them. Makes 6 large cakes, or about 20 bite size crab balls. Drain the crab meat of any excess water and set aside in a medium mixing bowl. In a separate small bowl, whisk the egg, mayonnaise, Worcestershire sauce, mustard, Old Bay seasoning, lemon juice, dill, and salt. Pour the mixture over the crab meat and gently fold with your fingers, but do not over mix. Sprinkle the panko crumbs over the mixture and gently fold in. I seriously recommend using your fingers to gently blend everything together and form into the cakes. Cover the bowl with plastic wrap and refrigerate for up to 1 hour. This really helps mold the crab since we’re not using traditional filler in the mix. In a nonstick skillet, heat the butter with the canola oil over medium-high heat. When the butter is frothy, add the crab mixture shaped into 6 round balls. Careful not to overcrowd. Gently fry until they reach a golden brown color. This will take about 2 minutes on each side on medium-high heat. Remove the cakes from the pan and place them onto a foil covered cookie sheet. Finish by baking them at 375° for an additional 8-10 minutes. Serve with lemon wedges, cocktail sauce, and a cold beer! 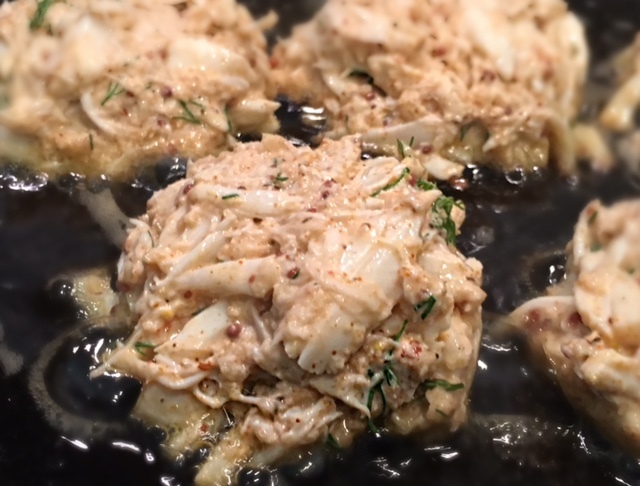 Drain the crabmeat of any excess water and set aside in a medium mixing bowl. In a small bowl, whisk the eggs, mayonnaise, Worcestershire sauce, mustard, Old Bay seasoning, lemon juice, and salt. Pour the mixture over the crab meat and gently fold with your fingers, but do not over mix. 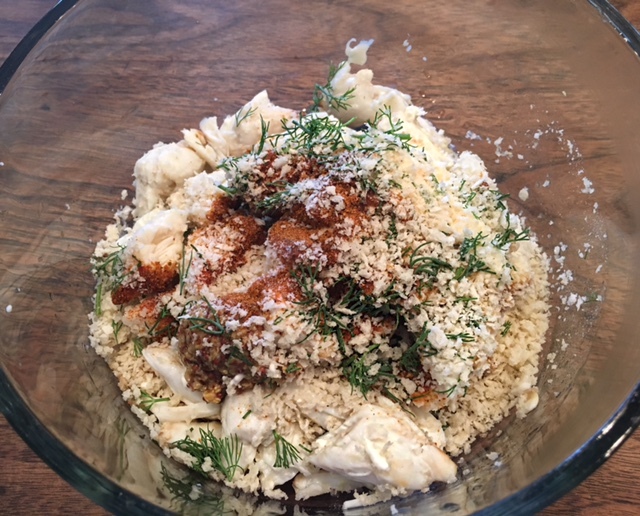 Sprinkle the breadcrumbs and dill over the mixture and gently fold in. Cover with plastic wrap and refrigerate for up to 1 hour. In a nonstick skillet, heat the butter with the canola oil over medium-high heat. When the butter is frothy, add the crab mixture shaped into 6 round balls. Careful not to overcrowd. Cook until golden brown, about 4 minutes each side. Reduce the heat to medium low if needed. Remove from pan and place onto paper towel to absorb oil before plating. Serve with lemon wedges and a cold beer!